It is estimated that digital transformation will wipe out 40% of Fortune 500 companies within the next 10 years. That is 1 in 3. So look to your left, now your right. Only one of you will remain. This grim reality breeds a newly coined condition: disruption anxiety. Disruption anxiety can be equated with a sort of never-ending race causing leaders to live by a motto: disrupt or be disrupted. And if you’re thinking that rapid rates of technological advancement are all hogwash, let’s take a step back in time. A decade ago, smartphones did not exist. And three decades prior to that, no one owned a computer. Now, on a daily basis, a majority of us surrender into a glowing screen for work. And that screen goes with us throughout our day; in fact, a Pew report recently shared that 77% of Americans own a smartphone. So, what does this all mean? As Airbnb dominates travel accommodation and Turo challenges the "necessity" of car ownership, companies must be agile to compete. In order to do so, a company must begin from the ground up - they must create an innovation culture. Creating a culture of innovation means encouraging and providing the framework for employees to take risks and engage with out-of-the-box thinking. Prior to building out an innovation strategy, it is important to narrow in on the culture: the shared customs and behaviors of a group that can drive innovation forward. Behavior drives culture which fuels innovation. Not taking close inventory of culture characteristics can threaten innovation initiatives as it is the foundation. Below, we delve into three actionable attributes that create innovation culture: meritocracy, diversity, and play! “If innovation is going to succeed within your organization you’ll need a strategy for prioritizing the best ideas.” This is the motto of Ray Dalio, arguably the best hedge fund manager of all time. Ray’s investment firm, Bridgewater Associates, has $133 billion assets under management, recorded a net gain of $8.1 billion in 2018, leaving it with $57.8 billion in net gains since its inception in 1975. And what’s the secret sauce behind this success? Ray would point to meritocracy where decisions are made by choosing the best ideas given that everyone can express opinions openly without fear of negative consequences. Meritocracies are like an elementary school suggestion box - but one that gets discussed and comes with an action plan. To drive innovation culture, Ray introduced an algorithmic decision-making tool. Meet the dot collector. The dot collector is an app that is installed on every employees iPad, which they bring with them to every meeting. Why you might ask? Because, in every single meeting - that’s right, every single - they give and receive feedback in the form of dots. The app lists attributes to rate co-workers ideas on a scale from 1-10. The attributes include things like assertiveness, open-minded, perception of problems, empathy, ability to self-assess, etc. For example, a 24-year-old researcher, named Jen, ranked Ray a three, a poor rating, for not showing a good balance of open-mindedness and assertiveness. And Jen isn’t the only one weighing in; the dot collector then shifts from one perspective to many, including all members' feedback to gain a collective understanding. And this collective understanding is what gives way to collective decision making. Ray explains the foundation of meritocracy in two principles: radical truthfulness and transparency so that “you can say what you really believe and see everything.” People who question the methodology bring up the possibility of a brutal work environment or the brain wirings for like-mindedness, but Bridgewater Associates serves as an example that collective decision making can be implemented effectively and drive success. Perform an innovation culture audit. Discover how your company evaluates ideas and executes them. Sign up for mindful leadership training. In order to implement ideas, people first need to understand their perceptions and collaboration style as well as develop active listening skills. Implement a feedback tool, such as Ray Dalio’s dot collector, to utilize technology in creating mindful and transparent feedback. Diversity is a similarly elusive term to innovation. What does it mean? And, are diverse companies really more innovative? Rocío Lorenzo, a partner at the Boston Consulting Group, compiled data to showcase that diversity does, in fact, drive success. Rocio’s study collected information from 171 companies measuring two things: diversity and innovation revenue. Innovation revenue was measured as revenues from a product or services within the past three years. Diversity took into consideration age, nationality, gender, career, education, and industry. Results showed that companies with more diversity produced 19% more revenue. Now, let’s look at a company that champions diversity. Beauty giant, L’Oréal, ensures that they gain diverse perspectives through a range of employee think tanks such as Women of Color and Out L’Oréal. Their commitment to diversity and inclusion landed them a top 20 spot on the Thomson Reuters Diversity & Inclusion Index. They also earned a perfect score in the Human Rights Campaign’s Corporate Equality rankings. This diversity is what fuels their innovation. L’Oréal recently announced a new type of wearable UV Patch. The patch is a sensor that attaches to the skin and notifies the person when they’ve had too much sun exposure. Impressive! Combining technology and beauty further, L'Oréal scientists designed Le Teint Particulier, a process for creating custom foundation shades using face-scanning technology. L’Oréal embodies the best of both worlds: diversity and innovation. Perform a diversity audit. Get realistic about how diverse your company currently is. Implement a diversity recruitment plan. Encourage collaboration by organizing lunch-and-learns or a team building offsite. Necessity is the mother of invention, right? Well, not always. In this TED talk, author Steven Johnson demonstrates how some of the most advanced technologies, like the computer, derived from good ol’ fashioned play. As Johnson explains, the history of the computer can be traced back to something many of us would never guess: animal bones. Animal bones were utilized by humans to create a delightful little toy that produced sound, the flute. The flute then gave way to the invention of an organ, an instrument that generates sounds by pressing different levers (keys) with our fingers. And this organ evolved to be programmable, one that could play music automatically. Johnson explains that "humans — and other organisms — evolved neural mechanisms that promote learning when they have experiences that confound their expectations. When the world surprises us with something, our brains are wired to pay attention." Play is rooted in surprise. The unexpected is what entertains us and gets us paying attention. Play is a gateway to newness, to innovation. A great example of a company prioritizing play to generate innovation is Atlassian. Atlassian continually integrates the element of fun into their innovation culture. Four days a year, the company enforces ShipIt days, a 24-hour period where employees are told to drop their normal work and spend time on any creative project they want. The policy has produced innovative results from new product features to a mini arcade for the office. A ShipIt Day innovation example is Atlassian’s MoodApp, which allows employees to rate different aspects of the workday. In most company cultures, employees opinions and feelings are taking into consideration once a year at an annual review. However, this is often too late to receive feedback and implement positive change. Atlassian noticed this gap and believes it’s better to have a more constant pulse on employees and ask for their feedback. This leads to employees feeling valued and impactful. It makes sense why Atlassian continually makes the list of most desirable tech firms to work for. Organize “play days” such as ShipIt days or Google’s 20% rule. Create an event to highlight company innovations such as an awards ceremony or innovation science fair. Ensure that you have new or inspiring places to play and innovate. It is scientifically shown that our mental space stands in direct proportion to our perception of physical space. Creating a culture of innovation is at the core of developing new products, services, and ideas. It is something that often stumps senior leaders, and thus delays innovation initiatives. But, it doesn’t need to. Culture is a compilation of shared beliefs and behaviors. And as we listed above, prioritizing meritocracy, diversity, and play can have a serious impact on the bottom-line and employee satisfaction. There are many inspirational examples of corporations who understand the importance of creating a culture of innovation. Are you ready to take advantage of RocketSpace’s innovation services and expertise to help your organization develop a culture of innovation? 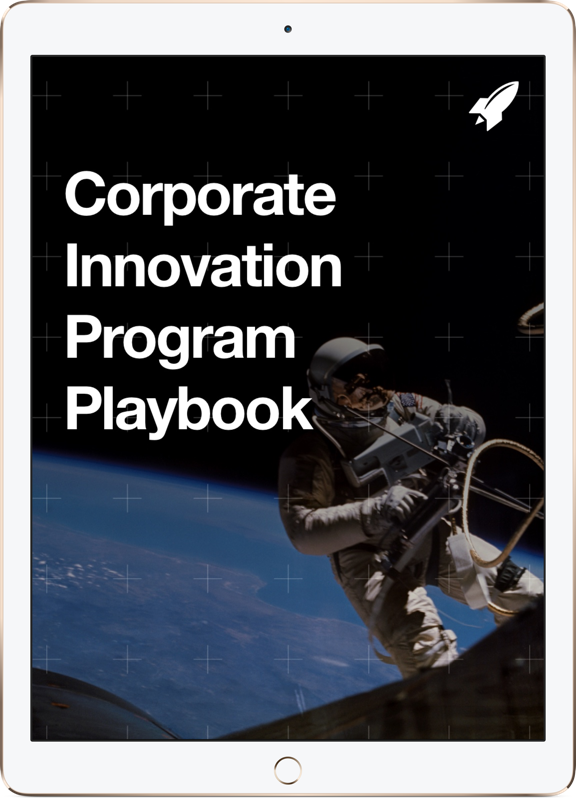 RocketSpace offers corporations proven methodologies to not only bring tangible business value through external innovation, but also to inspire teams and change the innovation mindset of a company. RocketSpace provides speed and direction to the world’s top tech startups and corporate innovators.